Experience: I was strangely nervous walking into my small local coffee shop, Zumbar, but also excited to see how everything would unfold. Once the girls in front of me got their coffee, it was time for the main event. I ordered one coffee for Billy who was with me and once the lady gave me my change, I gave her back a $10 bill. and soon heard the barista ask the other employee if I just “did a pay it forward”. 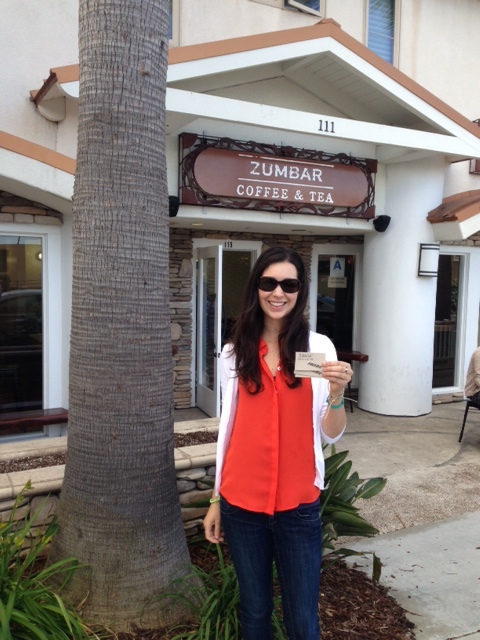 The other lady said yes and before I knew it THEY were giving ME a few vouchers for free cups of coffee! I was shocked and so thankful. Talk about paying it forward! I never expected them to reciprocate, but I guess kindness is contageous right? 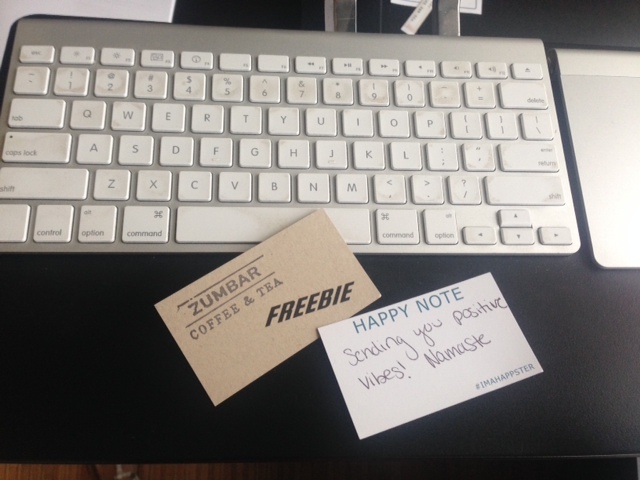 I ended up giving one of the vouchers to a co-worker who loves Zumbar coffee (along with a happy note of course) to continue to pay it forward! So as you can see, paying it forward for the first week of the Happy Explosion went great. What do you think we should do next week? Let me know in the comments and I’ll do the one that’s most popular! Did you pay it forward this week for the Happy Explosion? Did you buy someone’s coffee or do something else? 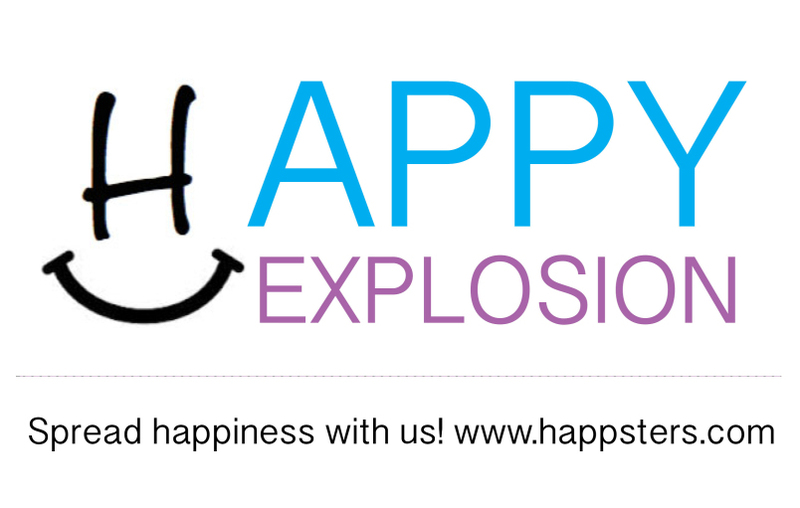 If you posted about a way that you spread happiness this week, click on the link below and add in your blog post so that we can all read it! You can also let me know in the comments! If you didn’t join in the fun this week, it’s not too late to do it next week! I’ll be posting a link up next week as well. You can grab the badge below if you want to add that to your post too. Not an official Happster yet? 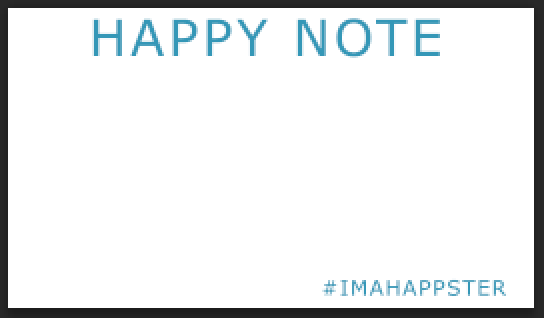 Become one and get free happy notes mailed to you here. I hope everyone is having a wonderful 2014 so far! I wanted to share with you some simple random acts of kindness that everyone has time for. All of the suggestions below take less than 5 minutes! I hope to knock these all out in less than a week. Are you with me? Are you going to do any of these random acts of kindness? Do you have another random act of kindness that isn’t on the list? Let me know in the comments!